Essential Oils for Sciatica - Do they work? Which oils Should I try? Do you suffer from sciatic nerve pain? Are essential oils for sciatica effective? First and foremost I have to say that if you are in pain, always see a doctor. Using Essential Oils as advised here should provide some pain relief but it will not address the root cause of your problem – we are not qualified medical practitioners here at Mystical Breath, we are enthusiastic users of Essential Oils and believe that we can provide good advice on their uses – and that’s all! Now on we go! The sciatic nerve is located in the back of the leg. It connects the nervous system to the muscles of the back of the knee and lower leg. This important nerve also provides the sense of feeling to the back of the thigh, part of the lower leg, and the sole of the foot. Damage to the sciatic nerve may result in weakening of the knee-bending capability, weakness of foot movement and general difficulty in bending the foot. Other general sciatica symptoms such as nerve pain, numbness, tingling, weakness—are all very variable in severity and location of the effects. Symptoms can be felt in the buttock, or in the back of the thigh down to the calf, or even into the toes. 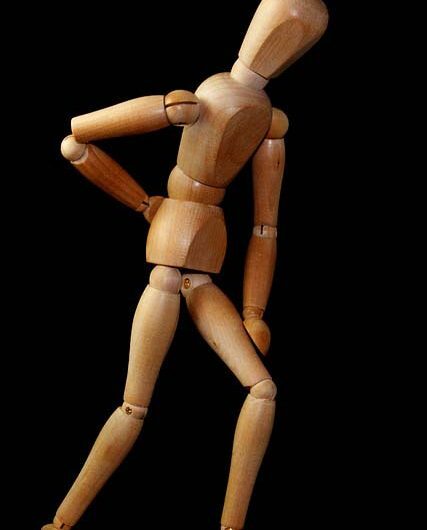 One of the causes of sciatica problems can be the maladroit administration of intramuscular injections. The main potential problem with an intramuscular injection arises when the nurse or practitioner sticks the needle into something other than muscle and injects the drug to the wrong place – possibly damaging nerves. The sciatic nerve is easy for a competent professional to avoid when such an injection is given with due care. ALWAYS see a medical professional if you are experiencing these symptoms. Now we go on the consider how we might use essential oils for sciatica to help with the pain. Full credit for the information in article is placed below it with a link so that you can read the complete item if you wish to know more. This is a list of oils you can rub into your skin. Remember, many of these will require a carrier oil (avocado oil, sweet almond oil, jojoba oil, coconut oil, grapeseed oil, even extra virgin olive oil will do the trick), massage these into the area where you are having pain. If you like you can cover them with a warm cloth to help your muscles relax more fully. I should also mention that a combination of any of the essential oils for sciatica listed above can be added to your bathwater (10 drops for sensitive skin, 15 for normal skin) and a particularly effective blend is juniper and mustard or pepper. (Side note: I like the combination of juniper and pepper better than juniper and mustard, but it’s got nothing to do with it being more effective). The data in the article above is based on an article on The Hearty Soul. You can visit them via the link provided – they have copyright on the material in the article. This is a pretty good video that outlines the physical properties and dimensions of the sciatic nerve by a Dr George Best. Hope it’s useful for you – you can see all of his videos at the link provided. We hope that this article on the benefits of essential oils for sciatica was useful to you – please leave your comments below if you enjoyed the article – and let us know what you think we should improve on!